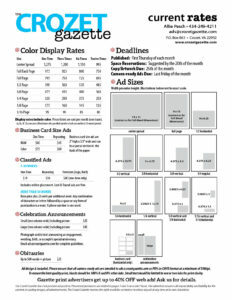 The Crozet Gazette is published on the first Thursday of every month. Print-ready ads are due by the last Friday of the month. To advertise in the annual Crozet A to Z Guide, click here.